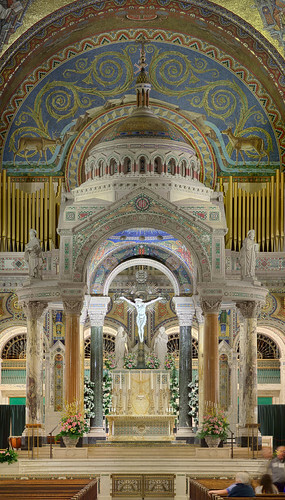 High altar of the Cathedral Basilica of Saint Louis. 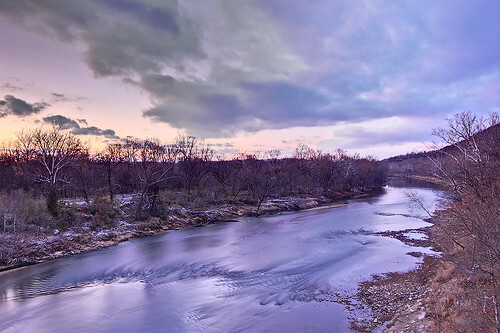 Meramec River, near Eureka, Missouri, at dusk. 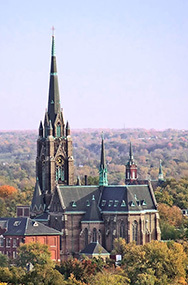 The Basilica of Saint Louis, King of France. 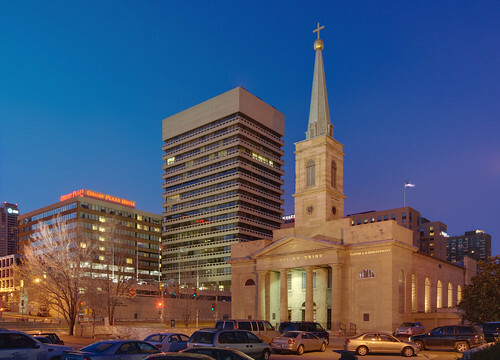 The Blessed Sacrament Chapel at the Cathedral Basilica of Saint Louis, decorated for Christmas. 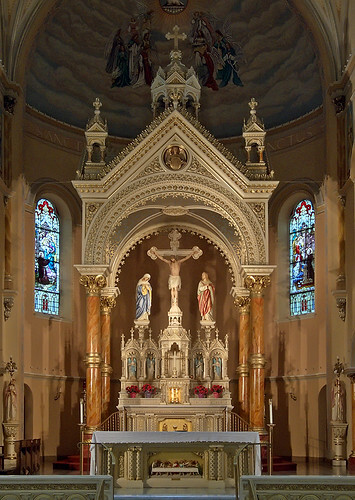 Interior of Saint Francis de Sales Oratory. Stained glass window detail, at Mary's Chapel, at the Shrine of Our Lady of the Snows. 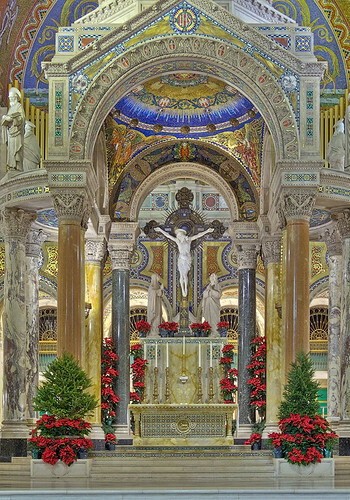 High altar of the Cathedral Basilica of Saint Louis, decorated for Christmas. 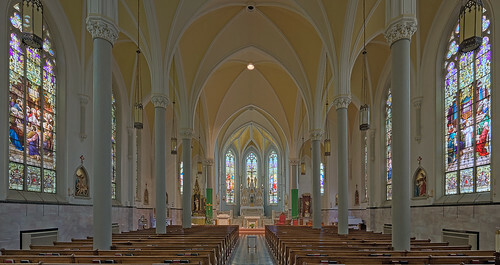 Interior of Holy Cross Church. 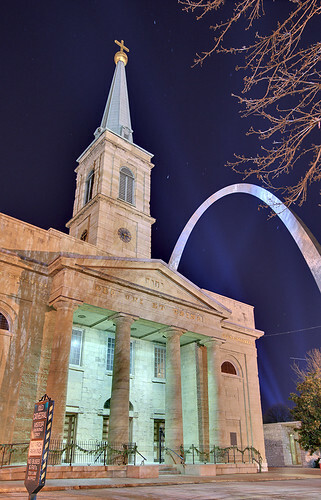 The Basilica of Saint Louis, King of France, with Gateway Arch. 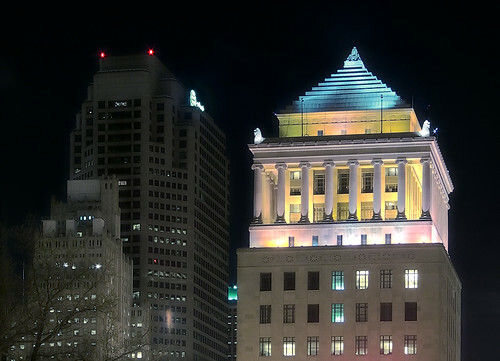 Civil Courts and AT&T buildings in downtown Saint Louis at night. 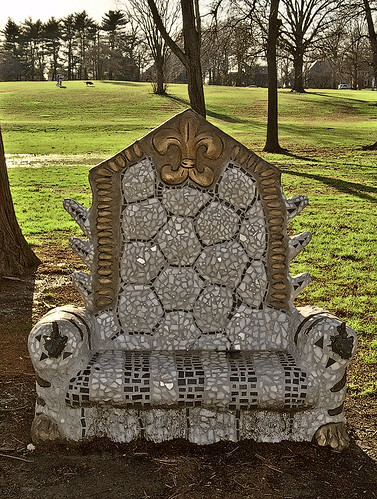 Mosaic chair in Francis Park, Saint Louis. 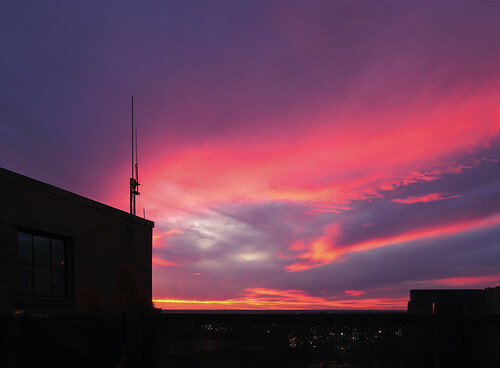 Sunset, from the old South Side National Bank Tower. 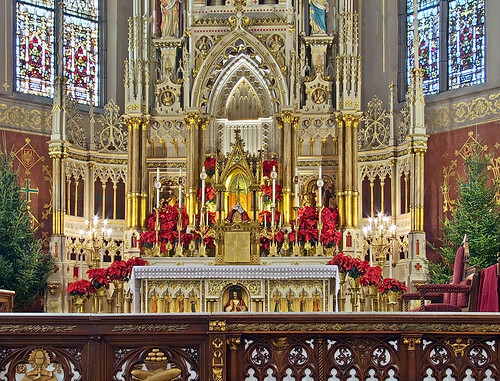 High altar at Saint Francis de Sales Oratory, decorated for Christmas. 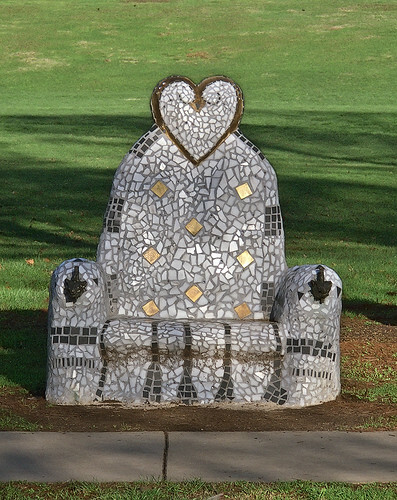 Another mosaic chair, in Francis Park. 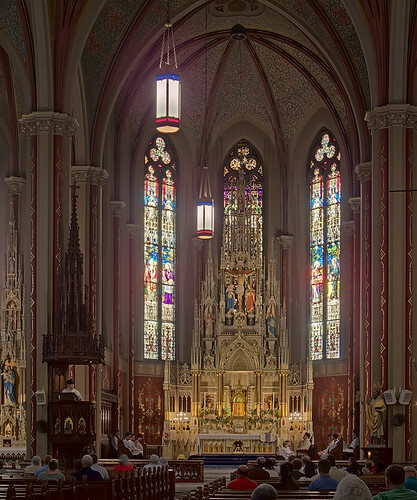 Interior of Saint Francis Xavier Church. 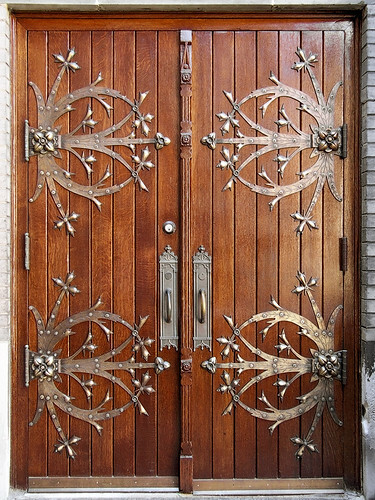 Door at Saint Francis de Sales Oratory. 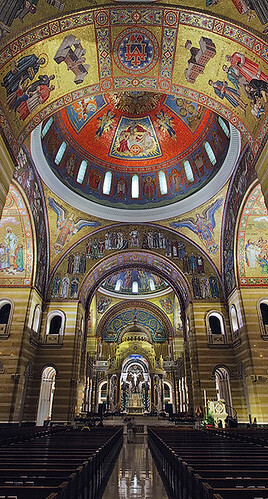 Mosaic at the Cathedral Basilica of Saint Louis. 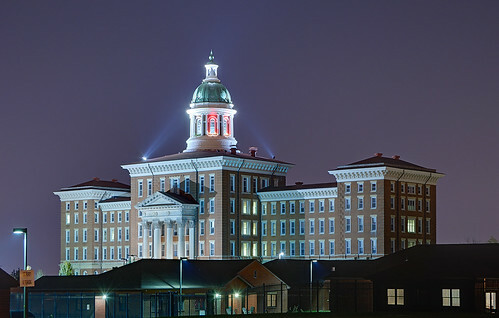 Saint Louis State Hospital, at night. 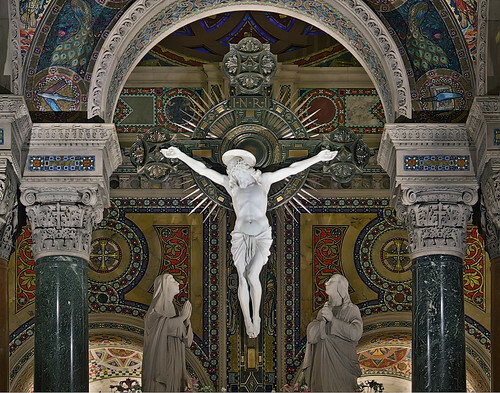 Crucifix at the Cathedral Basilica of Saint Louis. 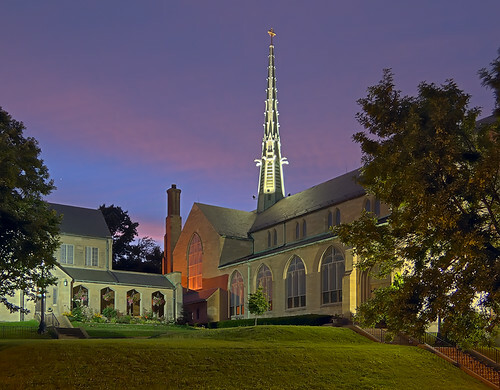 Saint James the Greater Church at dusk. 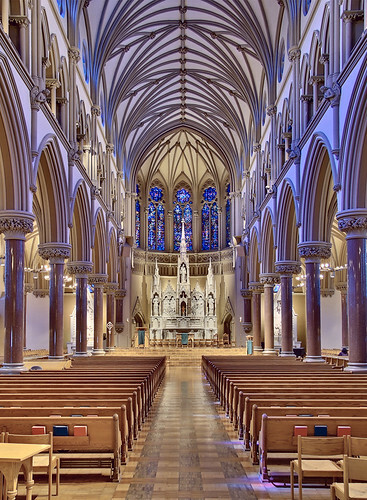 Interior of the Cathedral Basilica of Saint Louis. 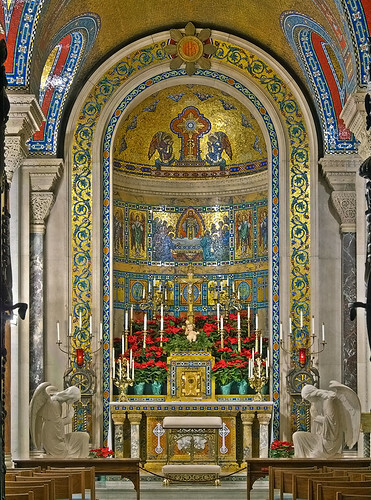 High altar, Saint Anthony of Padua Church. Beautiful. 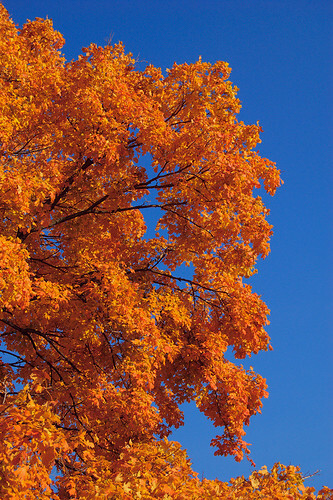 1) How can you tell which individual photos are most popular? 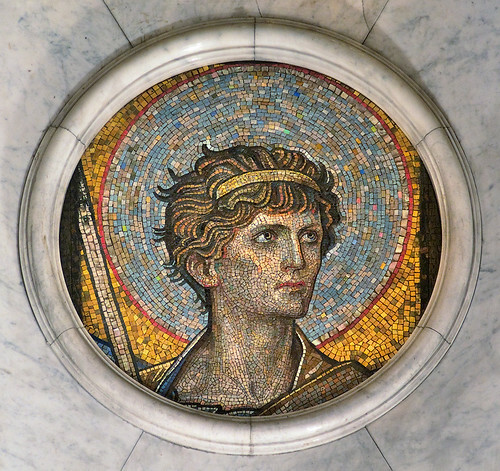 2) I love the mosaic head from the Cathedral. 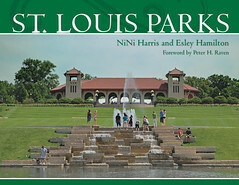 Do you remember where it is? 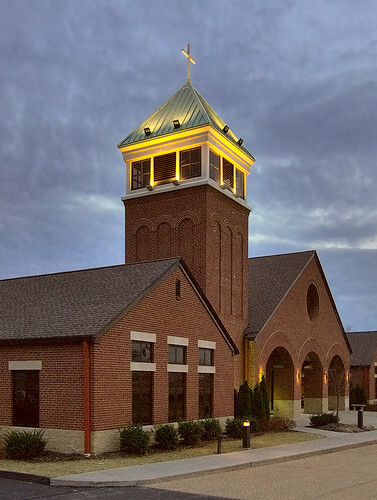 I'm a parishioner, but don't think I've noticed that one (maybe not surprising, considering the sheer number of images). 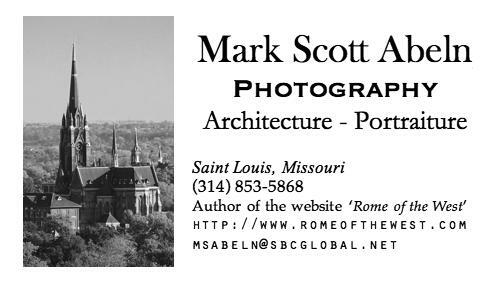 The photo rankings come from Flickr, which has its own rating system. 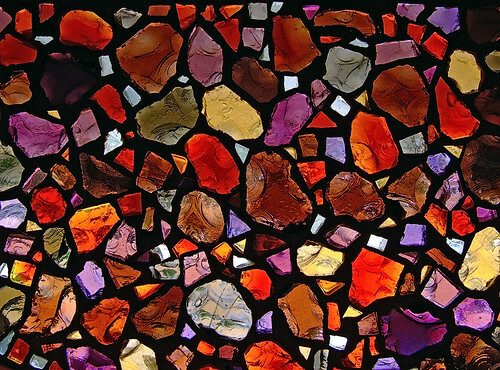 That is why most likely the mosaic chairs are on the list. 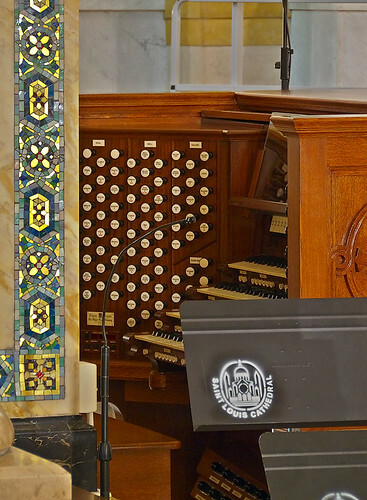 The mosaic of the angel is located up in the north end of the side-aisle outside of All Souls Chapel.